You may or may not have heard, but the D23 Expo was last weekend and there were A LOT of announcements regarding changes to our beloved Disney World. (For those who don’t know, D23 is the official Disney fan club and stands for Disney 1923, which is the year Walt Disney founded the company). WDW Info was great in posting a detailed list of updates for those of us who didn’t get to attend and I spent the weekend stalking social media to find out as much as I could! I’m going to go through each announcement and give you the info I have and my thoughts on them. 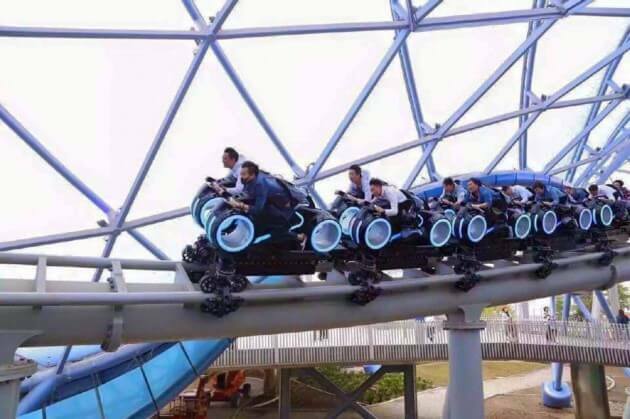 Tron roller coaster coming to Tomorrowland, near Space Mountain. My thoughts: This sounds awesome!! I’ve heard about how amazing the one in Shanghai Disneyland is and I love seeing Disney bring popular attractions from one park to another one. It’s how Disney World got Soarin’! Live entertainment theater off of Main Street USA. My thoughts: I don’t know much about this one so I don’t have strong thoughts, but live entertainment is always great and Disney never disappoints, so I’m sure there will be some great shows here. Great Movie ride being replaced with a Mickey Mouse attraction called Mickey and Minnie’s Runaway Railway. My thoughts: While I always loved the Great Movie Ride as a kid (and was always terrified of the Alien part), I think the ride has gotten stale and I am glad they are changing it. On the flip side, it was the last attraction remaining from the original MGM Studios park, so the nostalgic side of me is sad to see it go. Toy Story Land is opening in 2018. My thoughts: I am so excited for this! If I could have done it myself, part of me wishes it was a more general Pixar land but I am also ridiculously excited picturing how it’s going to look. I imagine us all feeling the size of toys walking into Andy’s room and that just seems incredible! Star Wars Land, which opens in 2019, will be called Star Wars: Galaxy’s Edge. The land in Disneyland will be opening before the one in Disney World. BB-8, Rey, Kylo Ren, and Chewbacca will all be available for guests to meet! My thoughts: This. Is. Awesome! I was raised on the original Star Wars Trilogy on VHS and have always loved the saga. We went to a Star Wars weekend back in 2009, before Disney acquired Star Wars, and it was so amazing. I especially think getting a break from the more typical, fairytale Disney stuff will appeal to many guests. Ellen’s Universe of Energy is closing and will be replaced with a Guardians of the Galaxy attraction. My thoughts: This is another one I’m happy about. Universe of Energy, at 47 minutes, was good for a nap but, aside from the opening video feature, was not very interesting after 12 trips and countless times seeing/riding it. Mission: SPACE getting updated missions and will be more kid-friendly when it reopens in August 2017. My thoughts: I’ve ridden both the more intense (Orange) mission and the less intense (Green) mission and, while I typically have an iron stomach for most rides (except spinning – sorry teacups), both of these just aren’t for me. I’m glad to see they’re changing up the missions to keep the ride fresh and even more glad that the new green mission will give a picturesque tour of earth and sounds like it won’t be nearly as intense. New restaurant opening near Mission: SPACE takes guests “high above the earth for an unforgettable dining experience”. My thoughts: I am always in for more restaurants, so this sounds great! By the description, my hunch is it will be a sit-down restaurant, but I don’t actually know for sure. Ratatouille ride is coming to the France Pavilion. My thoughts: This is another ride I’m super excited about. It’s very popular in Disneyland Paris and I’m thrilled to see it making its way to Florida, too. I suspect it will go in between the Italy Pavilion and France pavilion since I heard a rumor about permits filed for that specific area, but we’ll have to wait and see to know for sure. We are going to have to wait a little while for this one, though – it’s set to open by 2021. My thoughts: As I’ve said a few times already in this post, I am so glad to see Disney updating attractions and keeping them fresh. This is a great opportunity for those who are not familiar with China’s culture and history to learn more about it. A new Disney Vacation Club resort, the Disney Riviera Resort, is in the works. It will be the 15th DVC Resort and will be near Epcot. The hotel will feature a rooftop restaurant with views of the nighttime shows at both Epcot and Hollywood Studios. My thoughts: I am SO glad to have another Epcot-area resort on the way. Epcot has grown to be our favorite over the years and we someday dream of being DVC members. Currently, we don’t love the options that are still available so having more choices is great! My thoughts: Heck yes! As I mentioned above when discussing the new Star Wars: Galaxy’s Edge coming to Hollywood Studios, I think this is a great way for Disney to appeal to the guests who aren’t all about fairytales and princesses. 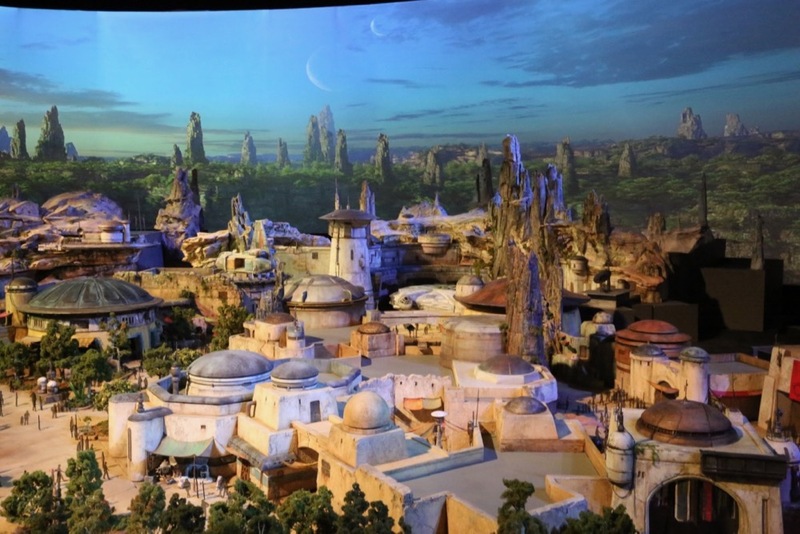 While I am all about fairytales, princesses, polka dots, and the famous mice, I am also a big ol’ nerd and Star Wars fan, and an immersive hotel where you’re in the Star Wars galaxy and every guest gets their own story sounds freaking amazing. The new Disney Skyliner that is set to run between Epcot and Hollywood Studios, plus connect to Art of Animation, Caribbean Beach, Pop Century, and the future Riviera Resort will give guests an overhead view of the World as they travel. My thoughts: I very vividly remember the sky ride that used to run from Tomorrowland to Fantasyland, between It’s a Small World and The Haunted Mansion (where the Tangled restroom area is now) in Magic Kingdom and I’m honestly envisioning a larger version of that. I’m sure it’ll be more fancy and high-tech than that was, especially since the last time I rode that was 20 years ago, but that’s what’s in my head. I think the alternative to walking and taking a boat between these areas are great and will make those 4 resorts even more appealing to guests. Disney’s version of Uber is coming by way of Minnie Van service and it’s adorable. You can use the app to request a ride and a cast member will pick you up and take you where you need to go. The best part? It’s in a polka-dotted mini van. No word yet on what the cost will be for this service, but it’s launching later on this month (July 2017). My thoughts: I honestly just want the Minnie Van for myself. I’m not usually into mini vans, but when it’s covered in polka dots and has a giant bow on it, all bets are off. Seriously, though, I think it’s smart on Disney’s part to essentially challenge Uber and Lyft and capitalize on that revenue potential. I think guests will feel safer and more comfortable utilizing Disney cast members rather than one of the popular apps we all know and love. It’ll also be way more magical to be picking up in polka dots. Whew! That was a lot! What are your thoughts on all these changes and updates? Anything you expected to hear or see that you didn’t? I honestly was expecting a name change for Disney’s Hollywood Studios since rumors have been circulating on that for awhile, but no dice there. I still struggle even calling it Hollywood Studios and usually revert back to saying “MGM”.